Brownfield, Texas, located in West Texas, is home to a number of different pests, including (but not limited to!) 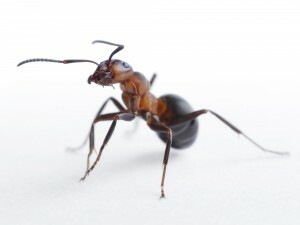 ants, gnats, scorpions, spiders, termites, and earwigs. Go Green Pest Control serves to help eradicate these types of pests from the homes and businesses of people living in Brownfield. Our highly-trained professional pest removers understand the nature of pests, and know how to safeguard your home and property from them. We thoroughly inspect your premises to ensure we find all traces of pest activity, and then get to work removing the pesky problem! No one wants to encounter unwanted creatures in the comfort of their homes, so regular pest control services are vital to making sure you can sleep easy at night! When you work with Go Green Pest Control, you can feel confident that you no longer have to worry about pests. Our top-notch technicians will keep pests at bay for good, thanks to the effective pest barriers they’ll create around your premises during their initial service. We’ll keep those barriers strong through regular treatments, so pests won’t be able to set up camp uninvited ever again! For more information about how we can help you with pests in Brownfield, Texas, contact us today at 505-404-1440, and speak to one of our knowledgeable representatives. We might kill pests for a living, but we’re still friendly.